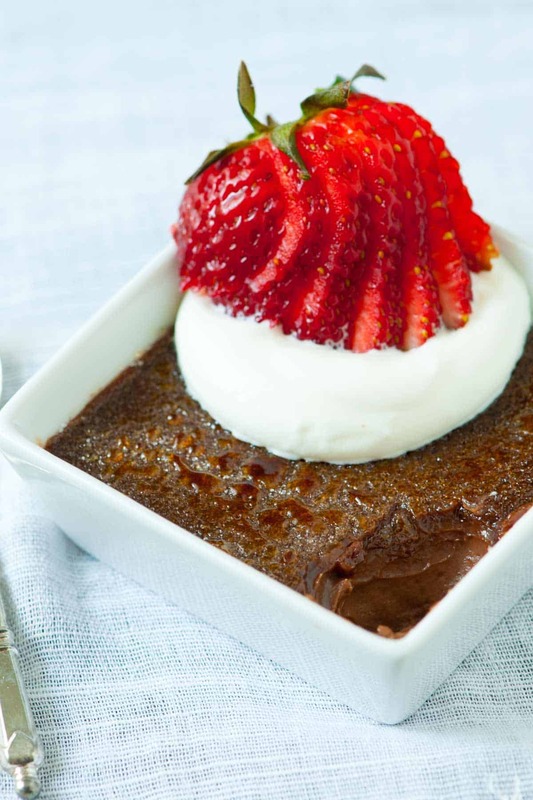 How to make chocolate creme brulee, plus our tips for making them days in advance. 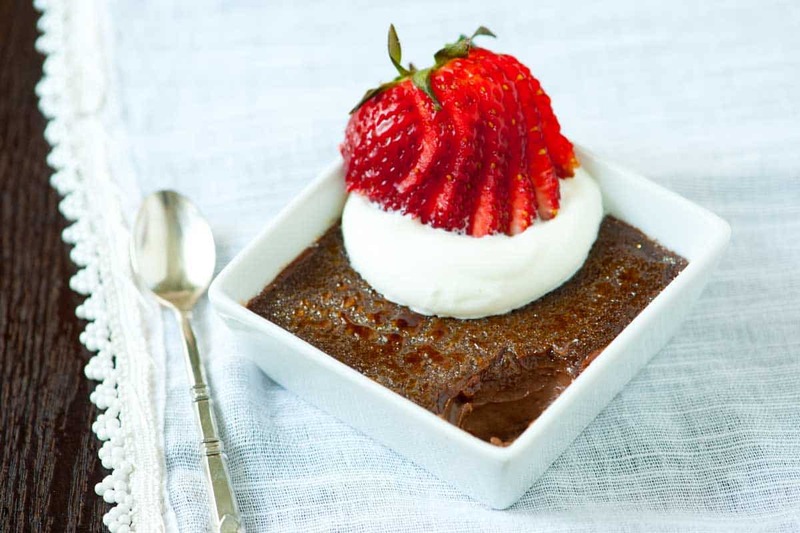 Jump to the Chocolate Creme Brulee Recipe or read on to see our tips for making it. We recently made a ridiculous number of these individual chocolate creme brulee cups and took them to a party. The idea was inspired by a party we attended where there was full selection of sugars you can choose from to top the creme brulee. Then a very nice man behind the bar caramelized your choice. It was pretty awesome. So for our party, we set up a mini creme brulee bar with our culinary torch and an assortment of flavored sugars — my favorite was espresso. It was a hit! YOU MAY ALSO LIKE: How to make homemade panna cotta with buttermilk, honey and vanilla. 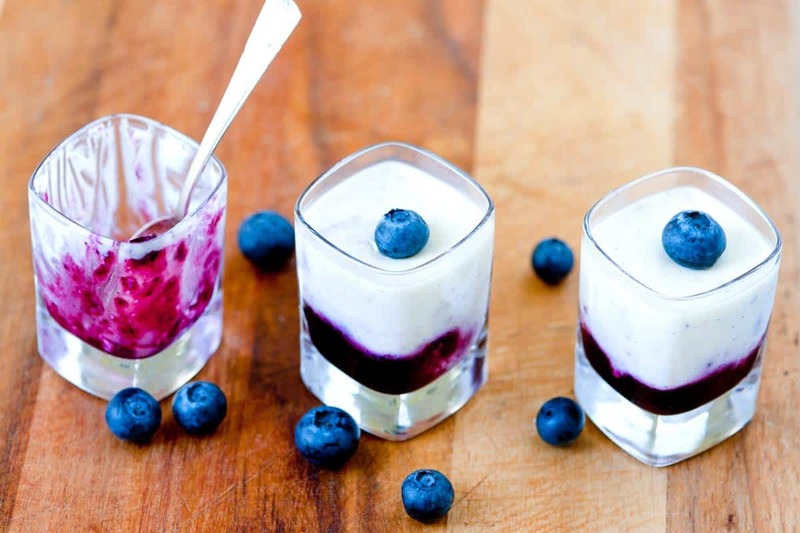 Jump to the Buttermilk Panna Cotta Recipe with Blueberry Sauce. Basically, tempering is pouring hot liquid slowly into eggs without scrambling them. It sounds scary, but trust me, it’s easy. The trick? Do it slowly. (Told you it was easy). The great thing about creme brulee is that you can make them days in advance. It makes you look like a total rockstar, because whoever you serve them too would never know that they were made ahead of time. 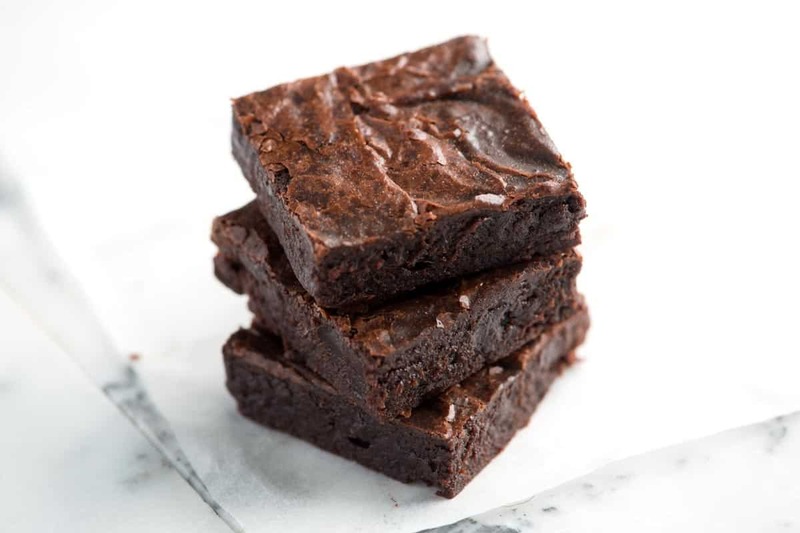 YOU MAY ALSO LIKE: How to make brownies that are better than the box. Jump to the Easy, Fudgy Brownies Recipewith quick video showing you how to make them. Creme Brulee can be made up to 3 days ahead. When adding the hot cream to the eggs, it is important to add slowly. This way, the mixture will heat up, but not scramble. If some of the egg solidifies, don’t worry. Before baking, we strain the egg and cream mixture. 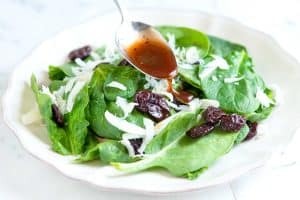 To make the caramelized top, you will need a culinary torch — here’s a great option. Add cream, half of the sugar (1/4 cup) and the salt to a medium saucepan over medium-high heat and bring to a boil, stirring gently. Remove from the heat. Place the chopped chocolate into a microwave-safe bowl, but reserve 1 tablespoon to add at the end. Place the bowl into the microwave for 20 seconds. Stir, then put it back into the microwave for another 20 seconds and stir again. Continue to heat then stir until the chocolate is just melted, now add the reserved chocolate from earlier and stir until it is completely smooth. In a large bowl, whisk together the egg yolks with the remaining sugar (1/4 cup) until well blended. While whisking, slowly stream approximately half of the hot cream into the eggs. Then switch from whisking the eggs to whisking the liquid in the saucepan and slowly pour the tempered eggs with half of the cream back into the saucepan. Now, while whisking, slowly pour the custard into the melted chocolate. Whisk in vanilla, and then strain the mixture through a fine mesh strainer. Place ramekins into a large cake pan or roasting pan. 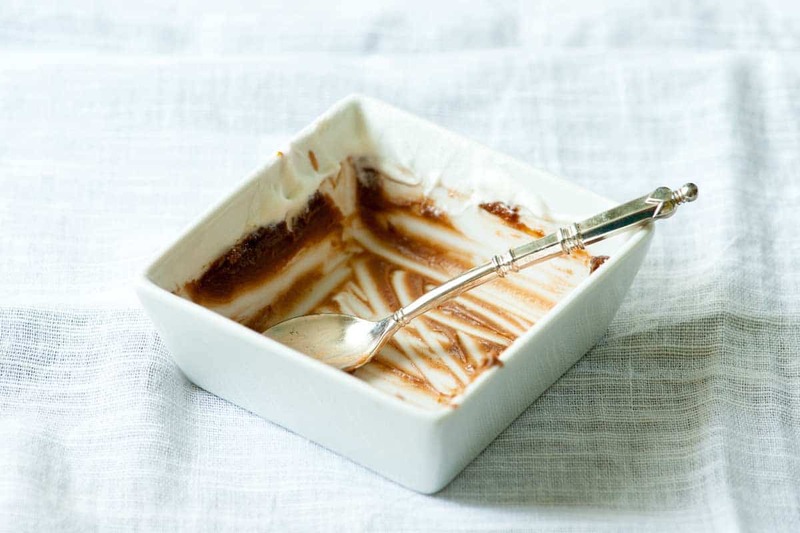 Ladle the chocolate custard into 6 individual ramekins (5 to 6 ounce), so that they are approximately 3/4 full. Pour enough hot water into the pan so that it comes halfway up the sides of each ramekin, bake until just set in the middle, 25 to 30 minutes. Remove the ramekins from the water bath and wipe dry, refrigerate for at least 2 hours and up to 3 days. Remove the ramekins from the refrigerator at least 30 minutes prior to serving. Just before serving, evenly sprinkle the surface with a thin layer of sugar. 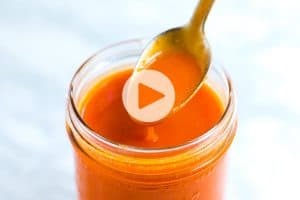 Using a culinary torch, melt and caramelize the sugar. Allow the creme brulee to sit at least 5 minutes before serving or until the top becomes hard. Adapted from Mastering and Craft, Baking and Pastry, Culinary Institute of America. So, I just put these in the oven, but I realized that I never used the vanilla. When​ are we supposed to use it? Did I miss it in the instructions? Hi Steve, We are sorry about that. We missed the vanilla in the recipe instructions. This has now been fixed. You can whisk in the vanilla before straining and dividing between ramekins. If you missed the vanilla, don’t worry, the creme brulee will still taste great. 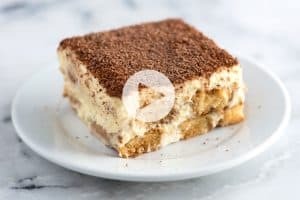 Wow……what a great recipe…….much thanks! Oh. My. You guys are over the top…in a good way.